Thank you Al Rennie, I can’t wait!! I have read most of your books and just love them, they have become family members this summer. Keep writing those good books. Hey Venida – Thank you for writing me. I always get a warm feeling when I read that someone else has enjoyed my writing. I expected that Mirage to be out today on all the e-book sellers. I know it is available on Kindle and I expect the Smashwords outlets (I-Books, B&N, Kobo) will have it out shortly. Have a great summer, and I hope, enjoy another episode of Mia and Joe. Thank you, I just purchased it and started reading. It’s a better summer now!! 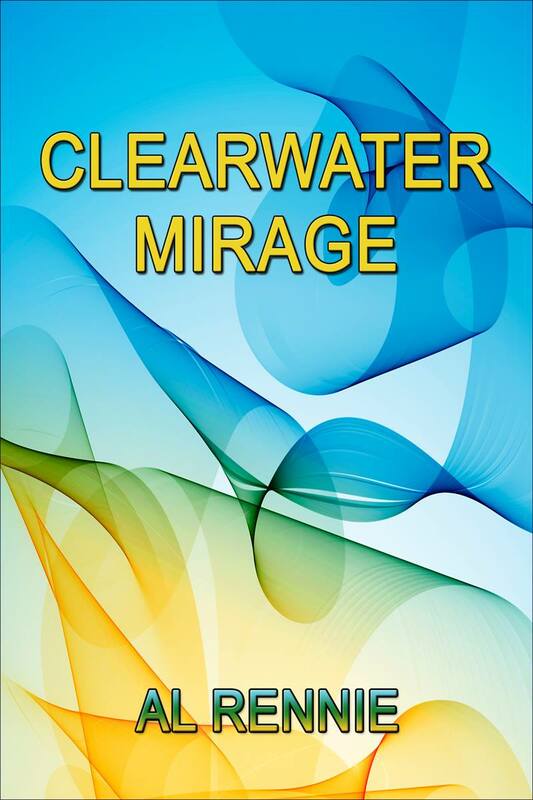 Just finished Clearwater Mirage and thoroughly enjoyed the destruction of the Aryan Brotherhood. Couldn’t happen to a more deserving group! Thanks for helping me enjoy besting the heat in my air conditioned family room in my lounge chair while sharing the adventures of Doc and the gang. Can’t wait for Clearwater Witness. Wow oh wow, another amazing book in the Joe and Mia series. Al Rennie never disappoints and this book is no exception. Love the stories and the way Mr. Rennie keeps your attention. I can never put his books down. Thanks once again and I can’t wait for the next one. Thanks Nancy …. it is always a great feeling to know that someone has enjoyed my work and is looking forward to more. I am working on one called Witness. Not certain how soon it will be out, but I will announce the release date well in advance. Have a great week!